These props are part of a personal project in process. 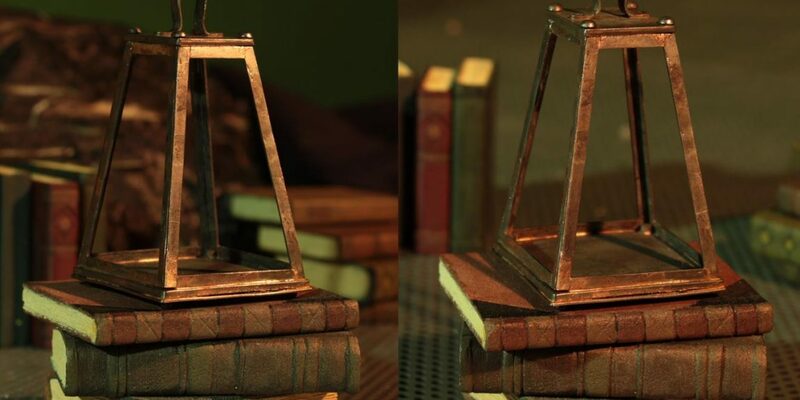 On this page are some details on making the miniature books and miniature metal lantern. 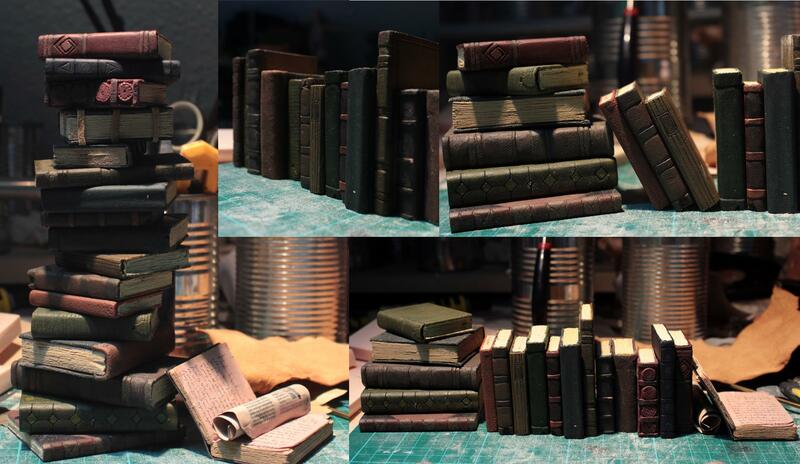 The books are made out of SikaBlock model board. I got hold of some cut offs while working at the John Wright Model Making workshop and wanted to give the material a go. 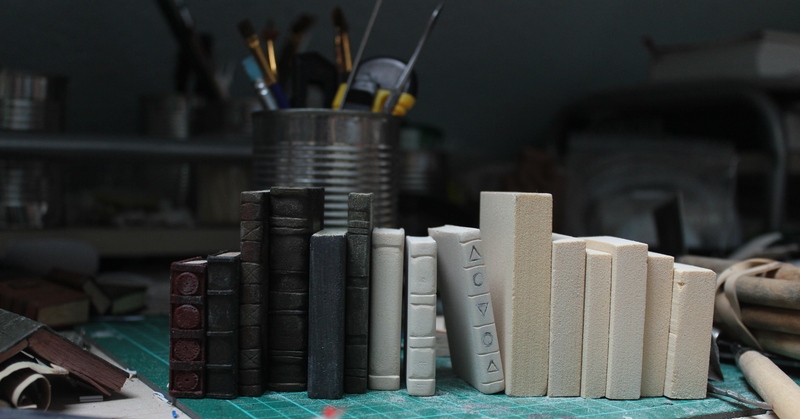 Most of the little books are completely carved out of a solid block of SikaBlock. Others have covers or details from different materials. 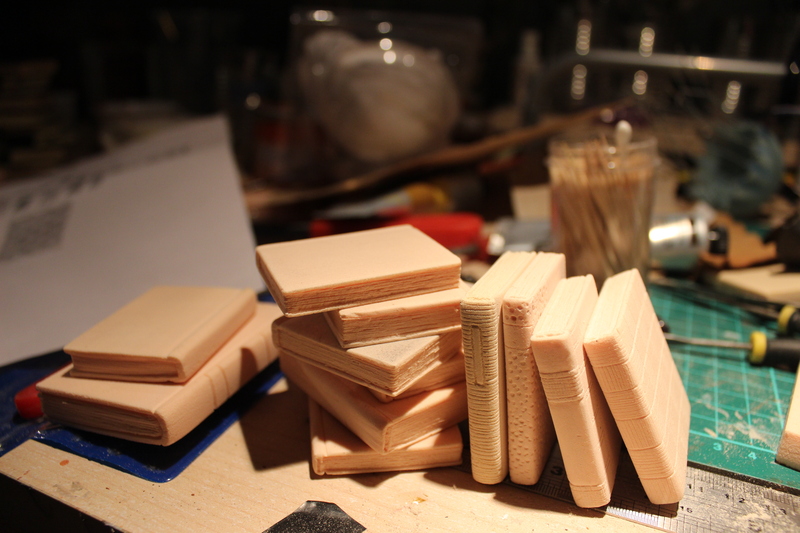 I tried out some different methods and was most happy with the results I got from carving the books out of the model board. 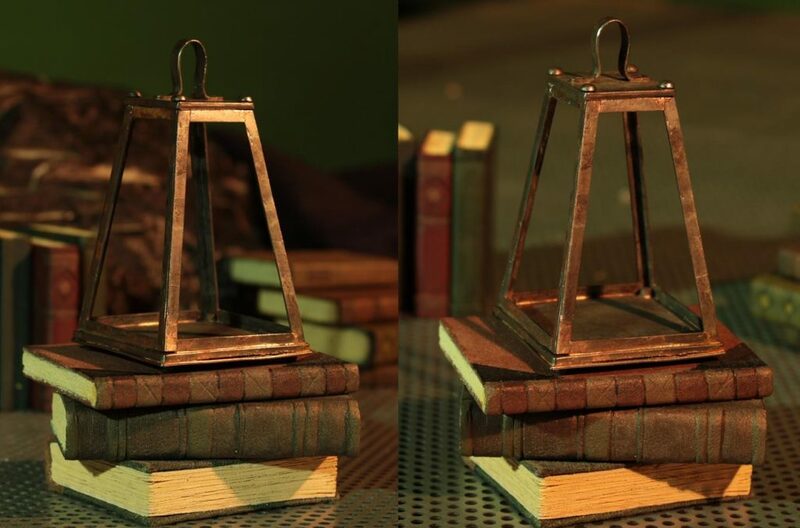 These books were made to look finished from all angles, so I could re-use them in different scenes. 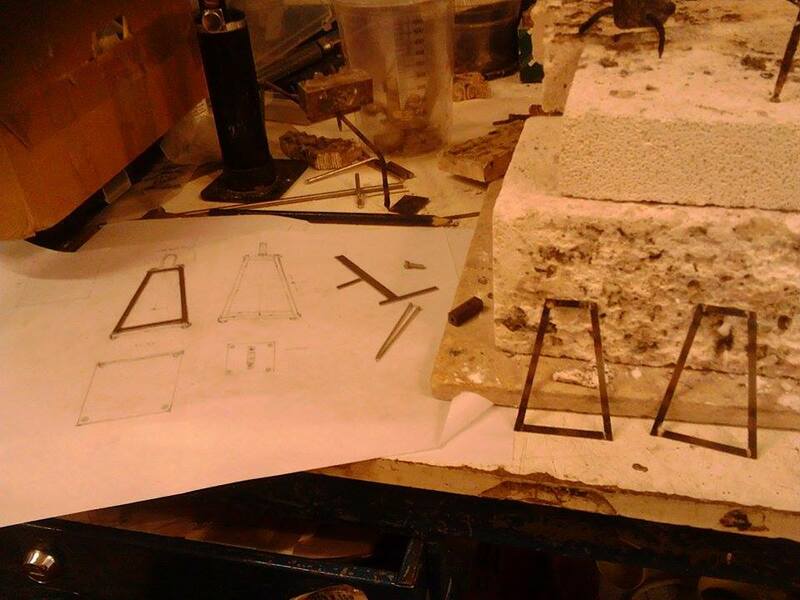 For the project I am making them I will need a lot more, so for others where I’ll need rows that will only be seen of one angle I will use different methods, probably casting them in sections. The lantern here is made from real steel and silver soldered together. I could have used different materials and make them look like steel, but I wanted the real steel look and assembling it from steel pieces helped to achieve the wonky look I was after. 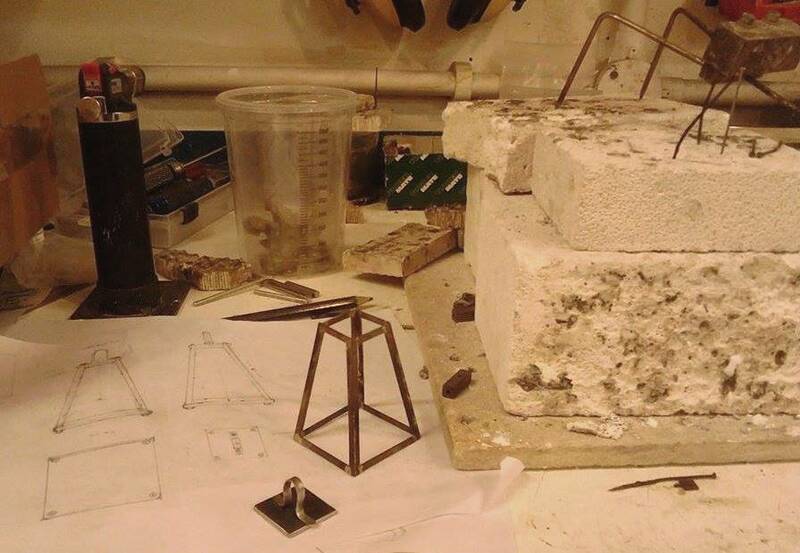 Having plenty of silver soldering experience, it was fun to solder something together other than an armature! 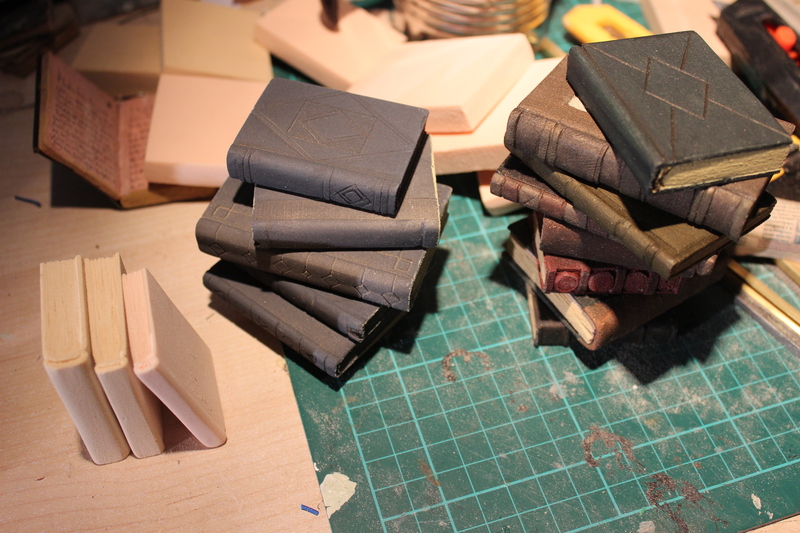 Books in progress, carved, unpainted. 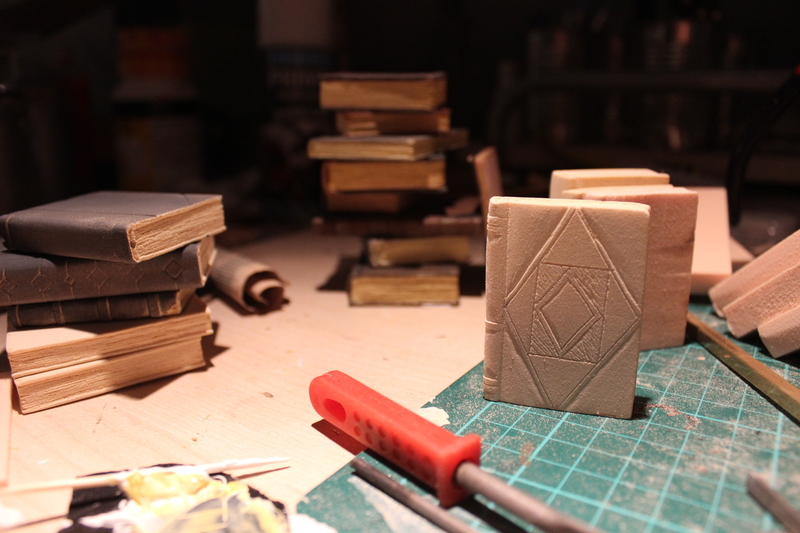 carving different patterns into the book covers. 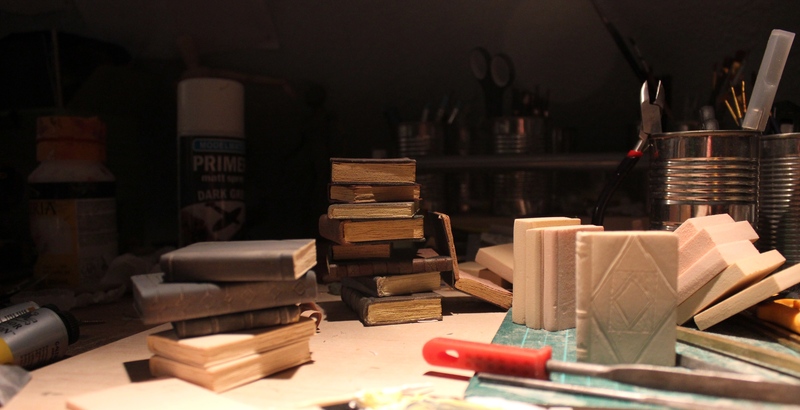 Book making progress, in various stages. Piles of books in progress in various stages. Book making progress at various stages. Silver soldering the pieces together for the lantern.